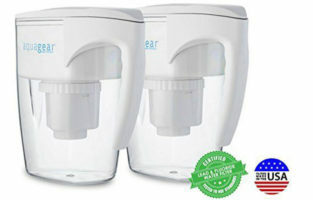 Here comes pretty much the cheapest water filter pitcher on our list today which might also appear to be in full contrast with the one reviewed above. 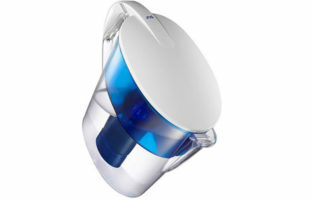 Patented technology and awards from all over the world are an allusion to the Sagler Water Filter Pitcher. But does that mean this product can be completely neglected because it’s useless? Not at all. 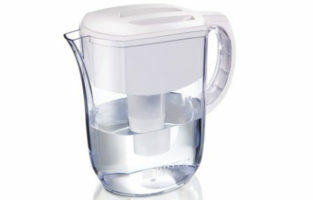 In fact, you will find many satisfactory features about this Sagler pitcher because simplicity is often the way to go. This thing is so simple that other filter pitchers’ parts can be used as replacements and this is absolutely astonishing. 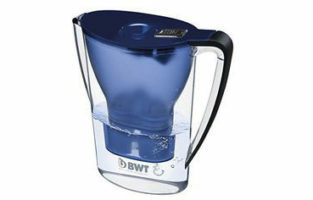 If you feel like trying a Brita filter, then no problem. On the other hand, the regular not-so-pricey filters will do just fine. They will fit right in there. 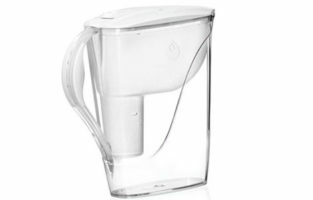 Now we will talk about more of the typically overlooked advantages of this cheap water filter pitcher. The design is slim and the walls are thin. While the jug is relatively easy to crack if you are at least a little bit careful it should be alright. When it comes to the slim design, though, it is truly an advantage. 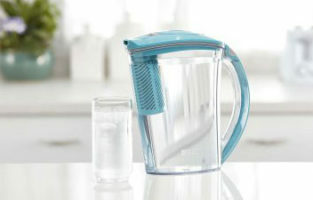 This is because the pitcher will conveniently fit on your fridge door – something that many flashy but bulky jugs can’t do. While it is a nice perk to have a set date countdown for filtration, these things can never be a 100% accurate. One cool trick you can use in order to determine whether the filter has to go is this: Check the bottom of your kettle or cups for any limescale that might have accumulated there. That’s a great indicator that the water is not perfectly clean. One knock on the jug is that the spout is left completely uncovered. The lid doesn’t get to it. 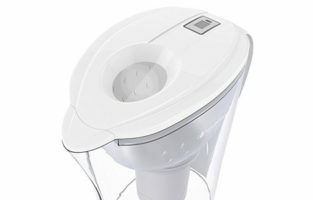 That means that your filtered water is actually exposed to dust and bugs. According to many users, this may be a deal breaker but if you keep the pitcher mainly in the fridge you should be just fine. 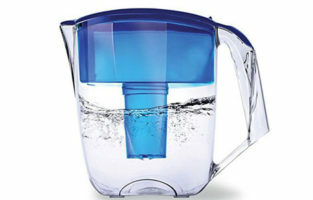 Another thing is that they advertise the Sagler Water Filter Pitcher as a 10-cup pitcher. You will be able to get 7 cups out of it at most, though. The handle feels nice as it has a curved plastic lining. One of the biggest conveniences of this product is the hole on the lid. You do not need to open the whole thing in order to refill it. As far as taste goes, you will likely be satisfied with the results. 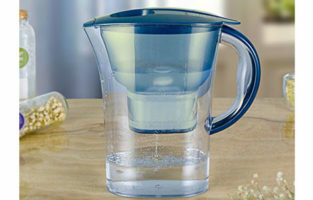 Cadmium and Nickel are almost completely removed from your water and the odor of chlorine is gone. 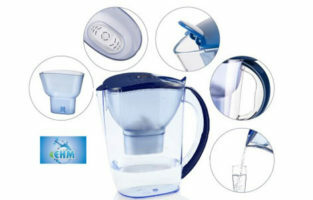 What you get is very close to the taste of any regular bottled water. 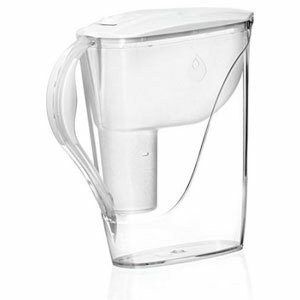 At the end of the day, obviously, simplicity is a great advantage of the Sagler Water Filter Pitcher. Fewer parts will mean that you have a lesser chance of damage or lose anything. All the components are easily removed and washed. On top of it, all replacing them is cheap while you still get all the functionality in the world. 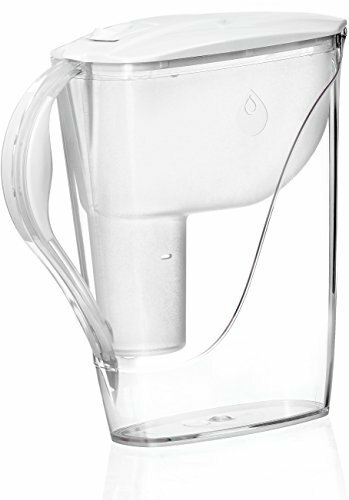 There’s also a rubber band lining on the bottom making the jug pretty stable on slippery surfaces. 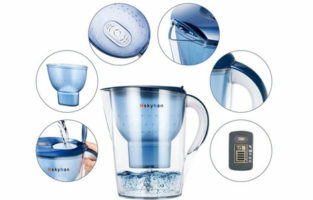 This water filter pitcher provides users with excellent bang for their buck and should be considered by most families who are not in love with a certain high-end brand. Customizable calendar for filter replacement – no batteries, USB charging or software syncing needed. Just a good old fashioned calendar on the side which you can pre-set. 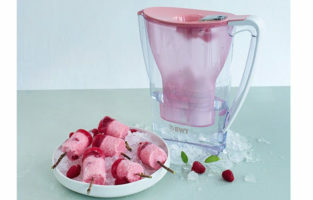 Slim body – save some room inside your fridge or even put it on the door. 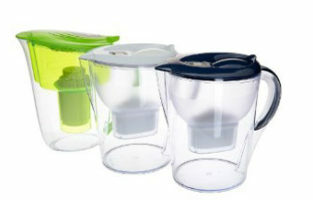 Universal parts – filters, lids and even the lining of the handle can be easily replaced. They even do not necessarily need to be of this very brand. 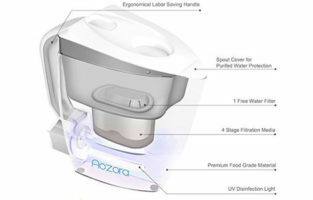 The spout is not covered – some particles can infiltrate the jug and contaminate your water. This will render the whole filtering part rather useless – a big downside, indeed. 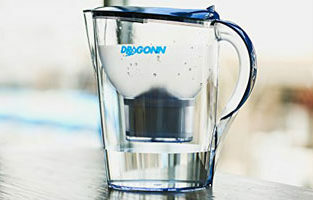 Capacity is smaller than you think – you will get 7 not 10 cups out of it.